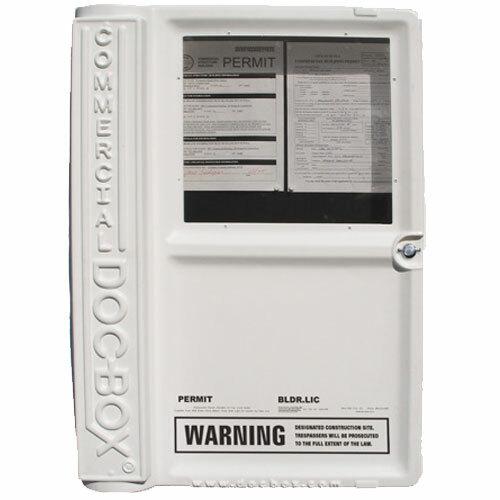 Holding up to 30-inch plans and double the posting area for those larger jobs, the Doc-Box Permit Holder Box is well suited. 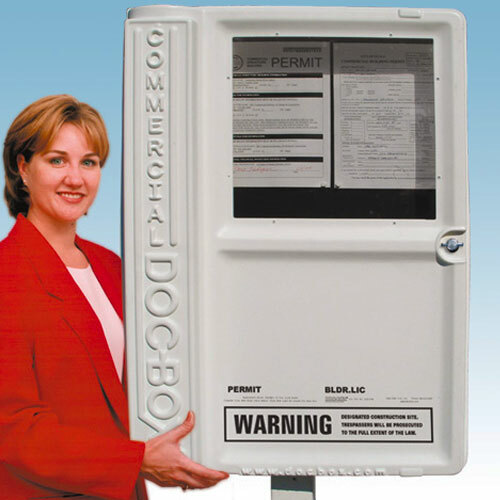 The one and only (CDB) Commercial Doc-Box Permit Posting System. 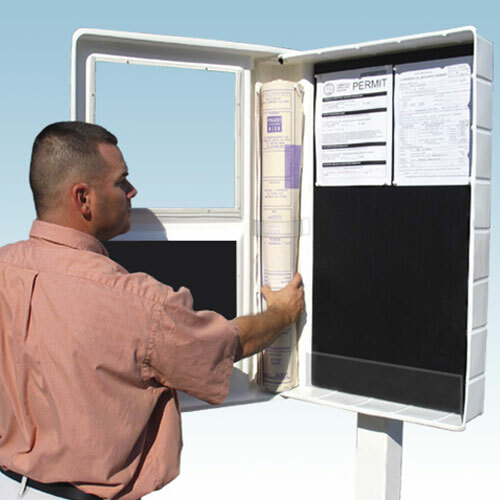 Large latching weatherproof unit with shatterproof sealed Polycarbonate viewing window holds large plans and permits on job sites, also acts as job site signage and warning to trespassers. Tack boards located on the inside back as well as inside the cover for additional posting area. Large rolled blueprints/plans are held vertically with durable plastic retainer ring. Also features a clear base pocket for additional storage. Constructed from durable HDPE plastic with corrugated plastic tack board inside. Features two rust-free aluminum hinge pins for added strength and durability. Steel bodied thumb-latch which will keep the door closed. The unique flange design is coupled with a deep overlap when closed to provide maximum weather seal. great for holding my building permits.